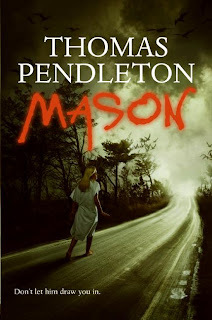 Thomas Pendleton is the co-author (with Stefan Petrucha) of Wicked Dead (HarperTeen), a series of edgy horror novels for young adult readers. His novel, Mason (HarperTeen), was released in July 2008, and the books Shimmer and The Calling (under the name Dallas Reed) are also forthcoming from HarperTeen. Writing as Lee Thomas, he is the Bram Stoker Award- and Lambda Literary Award-winning author of Stained (Wildside Press, OP), Parish Damned (Telos, 2005) and The Dust of Wonderland (Alyson Publications, 2007). Writing was always a hobby of mine. While my friends were watching TV or playing video games, I wrote books. I never gave much thought to publishing until I took a short fiction class in New York about seven years ago. The instructor, Terry Bisson, was encouraging and thought I might be able to sell my work. Turns out, he was right. After selling a number of short stories, I worked up the courage to send out a novel. I've sold about fifteen books since then and have several more in the offing. I know that makes it all sound very easy, but there were plenty of stumbles along the way. You're an established author of horror fiction for adults. What inspired you to take on YA fiction? My co-writer on the Wicked Dead books, Stefan Petrucha, is to blame for my interest in YA. We discussed the series for a long time before we ever thought of writing it down, and it struck me as a fresh approach to storytelling. After reading some of the great books in the YA category, I was even more eager to try my hand at it, so when Stefan suggested we write the first Wicked Dead book, I was ready to go. Congratulations on the publication of Mason (Harper, 2008)! Could you fill us in on the story? Mason is the story of a developmentally-challenged youth, who is artistically brilliant. Mason's skill at drawing is not limited to pencil, ink and paper, though. He can draw life-like pictures with his mind and put them into yours, so that you see fantastical creatures filling the skies or prowling the streets. This talent takes a very dark turn when his best friend, Rene, is attacked by a group of drug dealers led by Mason's abusive older brother. Thematically, I was inspired by the idea that imagination and creativity are often the only escape (and sometimes the only defense) we have when the world turns nasty and spins out of control. A long timeline. Ha. Mason was a minor character in a novel I wrote a dozen years ago, when I was just writing for fun. That book became The Dust of Wonderland, but Mason wasn't in it. In the end, he was just too interesting to be a minor part of a larger work, so I took him out. Then I published a variation on his story as a novelette in an online magazine, and that still didn't give his story enough room to breathe, so I wrote the novel. The only real challenge was emotional. I really liked this character and wanted to do him justice. The fact that he was developmentally challenged meant treating him with absolute respect and not writing him as some kind of helpless victim or raging monster. Along with Stefan Petrucha, you're also a co-author of the Wicked Dead series (HarperCollins). Could you tell us about that? Wicked Dead is an anthology series, held together by a frame tale that features four ghost girls who gather in a deserted orphanage every night to tell stories. These four girls have their own adventures in the orphanage, but the bulk of each book is a stand-alone tale of monsters and mayhem. What are the challenges of working with a co-author? The only challenges we really faced were points-of-reference issues, which is to say, we came to the work from very different places. Stefan's background is in graphic novels (The X-Files, Nancy Drew) and YA fiction (The Timetripper Series (Razorbill), Teen Inc. (Walker, 2007), The Rule of Won (Walker, 2008)). My background was decidedly more adult and horror-centric with a literary sensibility, so we had to find the right balance for the series and the right voice. The story arcs and characters came rather quickly because we were on the same page from day one with the concept. In the end, it comes down to respecting the other author enough to let some of your ideas--and ego--slide. What advice do you have for those interested in writing a series? I assume this is a given, but love your characters and the world(s) you build for them because you'll be spending a lot of time in that place with those people. The young adult audience is in this wonderful place between childhood when anything was possible and the world was full of mysteries, miracles and monsters, and adulthood where many of the mysteries have been solved, many of the miracles have a price, and the monsters wear human faces. They really get the themes in fantastic fiction, even if it's only subconsciously because they are close enough to look behind them and see the magic or look ahead and see the reality. Most adults lack that amazing perspective. Dark fiction is a terrific lens to use when attempting to make sense of the world. It's not real, but it's threatening and intense, so when characters come up against the dread, they are pushed to reveal things about themselves. Sometimes these things are heroic, other times, not so much. Many tough issues--death, abandonment, estrangement, disease--can be examined in the safe zone fiction provides. Monsters are cool, and I certainly don't shy away from violence in my work, but it's really this exploration of characters and issues that interests me. Send stories to editors right now! Though I had taken classes over the years and trained myself to write with a good amount of discipline, I was working in a bubble. I had no feedback on the work, so the mistakes I made never got corrected. Working with editors and receiving a lot of feedback from readers has helped improve the work tremendously. I guess it was the fear of rejection that kept me from pursuing writing as a career, but you know, after a hundred or so rejections, they just don't hurt anymore. I took my lumps (and some great advice from editors), and things are working out fine. I read and play with my dog. I have an Xbox 360, so many hours have been spent lost in those games--Bioshock remains my favorite. Watch movies and television, mostly the BBC sci fi hybrids like "Dr. Who," "Torchwood" and "Primeval," plus old episodes of "Buffy" and "Angel." I never really got into the whole reality-TV thing, so I rarely bother with network TV at this point. I'm trying to improve certain aspects of my professional life. I've never been great about promoting myself, and with so many books coming out, it's tough to switch focus from the project I'm working on to one that was written a couple years ago, but is just seeing print. Promotion is important, though. This is a tough business with a lot of books for people to choose from, so you have to make your presence known. An added difficulty is that I'm basically managing two writing careers. The promotional avenues for my adult work can be quite different than those for my YA work. There is some overlap, but often enough Lee Thomas and Thomas Pendleton (and Dallas Reed) are all battling for my attention. Now that's a bit of schizophrenia I never saw coming. The final two books in the Wicked Dead series, Prey and Skin, will be out before the end of the year, and Shimmer will hit bookstores at the first of next year. I'm currently writing a YA urban fantasy trilogy for HarperTeen. The first book is called Exiled, and that should be released in late 2009 or early 2010.